I Love Meriton is a giveaway competition that will consist of 5 prizes that will get drawn monthly, throughout the campaign! This will be promoted via sponsored posts on both our Facebook and Instagram channels, however entry is via Instagram only. To enter, users must share their best Meriton Suites memory and tag #ilovemeriton for the chance to go in the running to win a 2-night stay in any of our 3 Bedroom Suites. All information on how to enter this competition forms part of these terms and conditions and entry into this competition is deemed acceptance of these terms and conditions. By entering this competition, entrants are agreeing to have their post shared. Photographs may be used in media, promotions and publications. This competition is run by Meriton Property Services ABN: 69 115 511 281 trading as Meriton Suites, located at 528 Kent Street, Sydney NSW 2000. Competition dates: The competition will open on Thursday 14th February and will close at midnight Tuesday 30th July 2019. Eligibility: The winner must have permanent resident status in Australia. Entry: All Instagram entries must be entered by uploading your photo and caption via your personal account, including the hashtag #ilovemeriton. The finalists are subject to selection by the judging panel. The panel will contain industry experts from the Meriton Suites Head Office. Judging will be based on entries via Facebook and Instagram. The decision of the panel is final and no correspondence will be entered into relation of the panel’s decision. The winners of the I Love Meriton competition will be announced the following day after each daily competition via the Meriton Suites Facebook and Instagram pages. 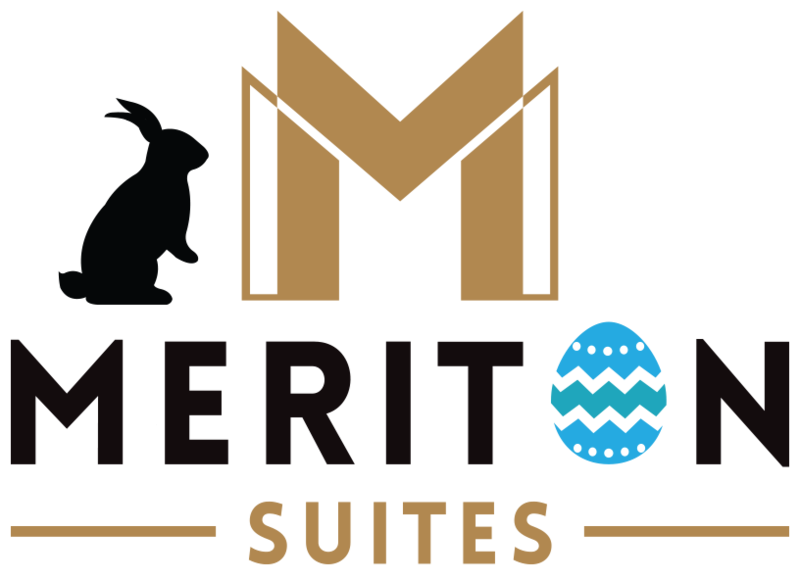 Meriton Suites reserves the right at any time to disqualify any individual who Meriton Suites reasonably believes has breached any of the terms and conditions or engaged in any unlawful or other improper conduct calculated to jeopardise the fair and proper conduct of the competition. If the winner does not accept the prize 72 hours after being notified, the prize will be awarded to the 2nd best entrant. The prize will be a 2-night stay in a 3 Bedroom Suite with overnight parking for one vehicle included, at any location. If a winner decides to choose a property that does not offer 3 Bedroom Suites, the largest room available can also be chosen to stay. This does not include 4 Bedroom Suites or Penthouse Collection Suites. Blackout periods apply, see (6.) below for further information. Stay dates are valid until 15th December 2019. Flights will not be included. 3.1 All entries must be uploaded via Instagram with the hashtag: #ilovemeriton, no later than the night before the prize is due to be drawn. 3.2 The entries must meet the specifications set out in these terms and conditions. 3.3 The winners will be notified through Instagram. 3.4 The winner must have permanent resident status in Australia. 4.1 The entrant must be the owner of all intellectual property rights in the photo or have obtained all necessary approvals to permit the use of the photo in the competition. Photos that infringe intellectual property rights will be immediately removed from the competition. 4.2 Entrants agree to indemnify Meriton Suites against any costs that Meriton Suites may incur as a result of any infringement of intellectual property rights. (a) maintain a digital copy of the photo. (b) reproduce the photo on the Meriton Suites website, and social media channels. (c) creating a non-commercial archive of the competition. 5.1 Employees of Meriton Suites and their immediate families are ineligible to enter the competition. 5.2 Meriton Suites may cancel or vary the competition at any time. Meriton Suites will not be responsible for any loss or costs incurred by the entrant in relation to such cancellation or variation. 5.3 By entering this competition, you release Meriton Suites from, and indemnify Meriton Suites against all liability, loss, damage or injury arising from or in connection with this competition or the prize. 5.4 By accepting the prize, the winner agrees to release Meriton Suites, and their agents and affiliates from and against any or all losses, damages, injury, rights, claims, actions and liabilities of any kind in connection with receipt and redemption of the prize. 5.5 The prize is as stated and cannot be substituted for cash or any other products. 5.6 This competition is in no way sponsored, endorsed, administered or associated with Facebook or Instagram. Images used in creatives for this campaign are credited to Rachael Rae, one of our 2018 winners of 'I Love Meriton'.